Attend a Remote Classroom Instruction class from CED Solutions and receive an Apple-TV Box. For years, I’ve fantasized about a phone call I want to make. It’s the one in which I dial my cable company and gently break the news that I’m canceling its TV service. With all the shows and movies I care to consume available over the Internet, I’ll ask rhetorically, why should I cough up so much cash each month for several hundred channels of stuff I have no intention of watching? I’m not quite ready to place that call. But I don’t think the day is too far off — and I have my eye on a bunch of new Internet-TV boxes that are arriving for the holiday season. All of them let you stream high-definition, on-demand video right off the Net, over your wireless (or wired) home network and on to your HDTV. And though they’re not the first gadgets to do the job, a happy confluence of better hardware, lower price tags and broader content offerings makes the idea more appealing than ever. 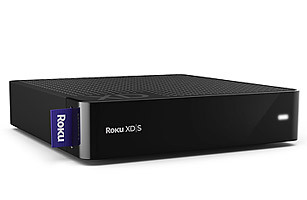 In all its forms, Roku’s little slab is a cinch to set up and use. Its signature service is Netflix Watch Instantly, which lets you gorge on unlimited movies and TV episodes for a flat rate of as little as $8.99 a month. Netflix’s selection is spotty, however, and short on anything released more recently than 2009. So Roku supplements it with Amazon Video on Demand, which offers a wider, more current collection of movies for rental and purchase and TV episodes to buy, starting at 99 cents a pop. You can also pay for two of the first brand-name sports to show up on a living-room Internet device, Major League Baseball (yay!) and Ultimate Fighting Championship (no comment). Dozens of other content channels are available, too — mostly for free and including everything from the Pandora music service to Picasa photo albums. Among sub-$100 options, Roku will face its stiffest competition from Apple’s $99 Apple TV, which is a few days from shipping as I write. Bearing the same moniker as an earlier, pricier box that Steve Jobs famously dismissed as an unimportant “hobby,” the Rokuesque new model sheds 80% of its predecessor’s bulk and streams Netflix Watch Instantly via an Apple-created user interface that looks slick. Apple’s iTunes Store will offer HD movies and TV shows for rent, although the much touted 99 cent episodes will feature only Disney and Fox programs at first; Apple is still trying to cajole CBS, NBC and other content owners into getting on board. Both Roku and Apple TV are walled gardens that work with services designed with them in mind. Another class of new device wants to go further, bringing Web video into the living room in its glorious, messy entirety. The $199 Boxee Box by D-Link is due in November and based on a clever piece of software for Macs and PCs with a cultlike following; Logitech’s Revue (price and shipping date unannounced as I write) is the first device built on the new Google TV platform. Both pack HDTV-friendly browsers and aim to let you watch virtually any video you can find on the Web, including scads of free ad-supported shows. Don’t count on TV megasite Hulu being available, though: it has a history of blocking access from devices other than computers, and is working on Hulu Plus, its own for-pay service. Google TV will also be available as an integrated feature on certain Sony Blu-ray players and HDTVs, eliminating the need to futz with additional cables and find space in your entertainment center for yet another gadget. Me, I’m trying to skip Blu-ray altogether and proceed directly to Net-based video, and I hope to cut my cable-TV connection long before I replace my three-year-old flat-screen TV. So I’m pretty sure I’ll wind up with a box. It’ll be fascinating to see if I have enough company to turn any of these devices into the iPod-like game changer that has eluded the category to date.